Cellulose is an adsorbent typically used for partition chromatographic separations of polar substances such as amino acids and other carboxylic acids or carbohydrates. This is mainly due to the low specific surface area of cellulose. 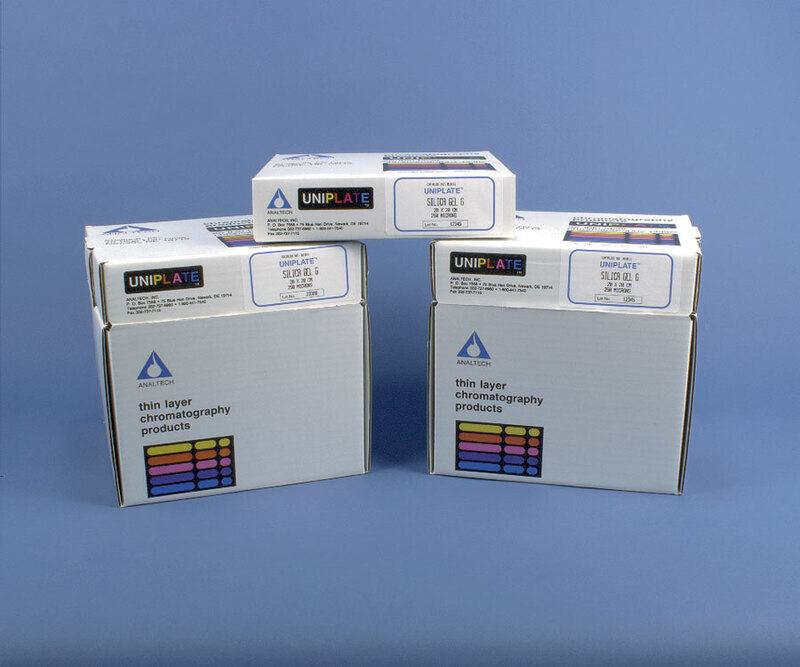 This type of TLC coating gives the chromatographer the ability to transition a paper chromatography application to a platform which provides faster developing times and more concentrated spot sizes. In TLC there are two types of cellulose - native (fibrous) cellulose and microcrystalline cellulose. Native cellulose has a degree of polymerization of 400-500 glucose units and a fibrous structure. Microcrystalline cellulose consists of an average of 40-200 glucose units and has a more regular crystalline structure. Both types have a specific surface area of about 2 m2/g.